First of all, I have no idea what I’m doing. I’m no Hillary or Amy or Stephanie. But a mother sometimes has to stretch her sewing muscles, jump in there and make something–good, bad or ugly–because her children think she can do anything. And really, they think I can make anything. If we’re out shopping and I turn them down on something they want (which is usually the case), then it’s, "alright, you can just make it for me." Last night after baths, of their own accord, they sat down in the rocking chair in front of the fire–one with my Children’s Rooms: Stockholm and the other with a DIY Japanese craft book full of three dimensional bears with moving parts. It was like Christmas shopping for them. "Now, I want you to make this. And this. And THIS!!" So the request for ages has been a doll. I’ve been doing my best to tame the begging beast, but yesterday, I just couldn’t turn them down anymore. I rolled up my sleeves, made a little sketch, got out the brown grocery bag for pattern-making, and slid out the sewing machine. Let me just say, again, I have no idea what I’m doing. But here they are–good, bad, probably ugly. They are simple and plain, my convenient favorite. They each chose a button barrette, and this morning over breakfast I was stitching up last a last minute request: aprons. And Emma’s wears a scarf to conceal an extremely long neck. They don’t have mouths, which Emma says means they can’t talk, but I was so stumped by faces. I didn’t want to ruin them anymore by trying to add a mouth. Maybe later. 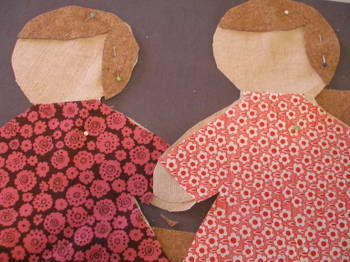 But, they are dolls nonetheless, made from the heart and already well-loved. Emma has more than made up for her butter comments. This morning when we were snuggling in bed together she said, "I love this doll so much. I couldn’t even sleep last night. I had to keep opening my eyes to look at her." Good. Bad. Or ugly. I don’t think they really care. oh, and Emma noticed at lunch yesterday that my grilled cheese looked mysteriously like a doll’s head. They are absolutely perfect. Your girls will treasure these for many years! the dolls are very folk-artsy. way to go ma ingalls! Priceless! Way to go! And from here, the eyes look amazing! Made with love and cute. The girls see the love you put into them and they are blessed. I love these little dolls (especially how you did the hair); it makes me think of the times when my mom dropped what she was doing to help me with a project or two or ten. That’s the childhood I want to help create for my little guy and it’s inspiring to read your blog and to think of you doing it too! They are adorable. They inspired me to just go with it and make some dolls for my son. Great job! The dolls are beautiful! How brave to just jump right in and make them! I love their primitive look – not the way they’re made but the fabrics and shapes you chose. And who really cares what we think anyway, the two important critics are pleased so that is a success in my book. Oh, that Emma. What a beauty herself… that’s the sweetest thing I’ve ever heard. Oh, I love these dolls! And how I love the excited comments from the doll’s little mama! : ) That would surely melt any “ma’s” heart. oh they are DARLING! the materials, the zigzagging, I love it all so much. of course your girls love them! You are on a true Ma Ingalls roll here! How sweet is that?! Yeah, Zach has been requesting homemade things also. While he was playing with a cow I had made, THE COW actually asked me to make a dinosaur for Zach… little did he know that I already had. I like their dangly legs, and LOVE the button barrettes!! i cant even think of a better compliment then the one you got from emma. i see more bitty clothes sewing in your future! between these and the butter you are a champion of patience these days ms. m.
and so brave! I am not a great sewer, and struggled through the make-a-long patterns for my son and daughter. There’s no way I could have attempted it on my own!! I knew my son (4) would only be vaguely interested in the doll, but I also knew he’d feel left out if he didn’t get one. My 2.5 year old though… she’s made up for any dismissiveness coming from her brother. She LOVES her “Julie-doll” and it has gone everywhere with her. Kisses must be administered to her, and then Julie-doll. Jocelyn is tucked in, then Julie. She even held Julie’s hand, and made HER turn the pages on her bedtime story. Oh la la! They are cute! I’m sure your little ones adore them and that’s all that matters! I love the comment–the heartfelt GOOD ones are breathtaking, aren’t they? Oh, ack–I mean the comment from your daughter. i have 3 boys. 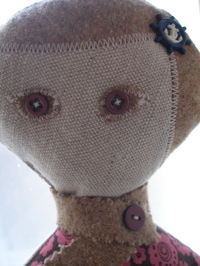 i spent last night making a doll, too. mine was a nintendo character. a “shy guy” to be exact. not so glamorous as your dollies…but for a good cause just the same. 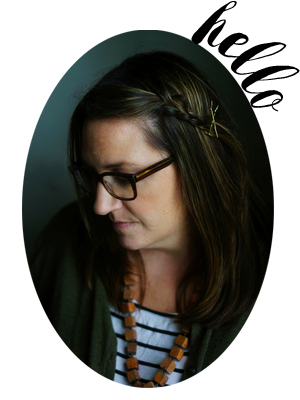 molly – i am so impressed! what a great gift for your girls. oh i think they are so sweet and your girls obviously cherish them. good job. i love the eyes and who needs to talk??? Those are so sweet! You did a great job and they will cherish those forever. Fantastic – they are adorable! those are wonderful! you did a great job! The dolls are super cute, I wouldn’t have done anything different other than to add a beret or bonnet but you can accessorize another day. Your daughter’s comment was priceless. Good job! They will remember these dolls for ever!! Their faces are so sweet M, I clicked on over from Flickr because I had to find out the story. 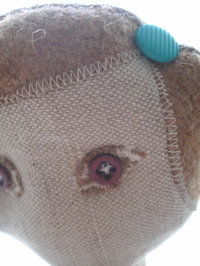 What a good mom you are, seriously, two dolls in one day would take it completely out of me for a week! Wonderful! Just perfect. Both the dollies and the girlies! Wonky– it’s the new charming. I am very impressed by your sweet dolls. But more importantly, so are your even sweeter girls. That is sooooo cute – she couldn’t sleep for thinking about her new doll her mummy made her – awwww! I teared up! I think they are cute and you did a great job Molly! And it sounds like your 2 little ones did too and that’s all that really matters. 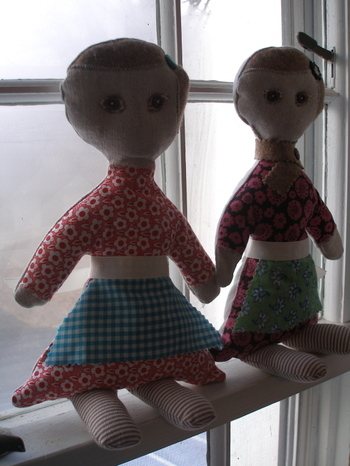 I just found your website and I love these two little dolls, they are so sweet. What a cute dolls, I love those remarks that children make they come right from the heart. YES! I think you expressed it perfectly. Something I’ve been trying to do for a while… our children love us no matter what we do, but if we make an effort, even a little effort — Wow! :-)Thank you for the reminder.I think your dolls are exactly as they should be. Made with love. Thank you for the inspiration. Your dolls are as sweet as your girls! Your dolls are awesome! Who wouldn’t love them! Molly, the dolls are sweet. The girls are so lucky! what better than a gift from you…some people have no idea WHAT to do for their kids but shower them with gifts, when all they want is something like time, cookies, or even better a hand made toy! thanks for sharing these adorable dolls. I think I forgot to comment earlier to say that I love these dolls. What treasures.